There is an old adage genealogists will appreciate, “You can’t choose your family, but you can choose your friends.” And many times they become your family. 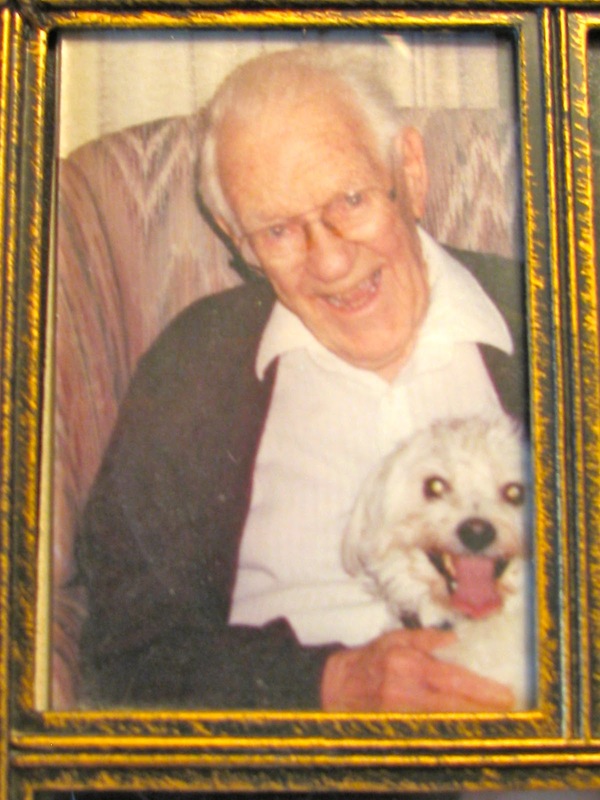 This post began as a remembrance to an old and dear friend, Harry ‘Hap’ Fleming. (He earned the name ‘Hap’ as a child because he was always happy.) 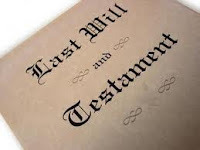 But as I attempted to put the pictorial elements together, I realized how many times, we as genealogists, face the situation where all of the pieces of someone’s life are gone! They’ve been discarded after the person died - thrown away, given away or sold in hopes of making a ‘big’ profit. Unfortunately, this was the case with Hap’s photo album and scrapbooks. 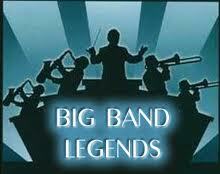 This was Hap’s chronicle to his younger days when he played with the Big Bands. 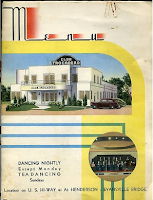 Now, granted, there were no pictures of Glen Miller’s Band or Tommy Dorsey’s Orchestra in Hap’s album, though Hap did play gigs where the Dorsey Brothers were playing. According to Hap, “Those boys fought tooth and nail, day and night, until they went on stage. Then they put all differences aside and played “the music that satisfies,” (a reference to the Chesterfield Quarter Hour program from 1932.) Jimmy broke off from his brother Tommy’s band and both men went on to lead two of the most popular Big Bands of the era. No, Hap Fleming started out in a dance band back in the 30’s as a piano player. And Hap could PLAY! Although he did take lessons for a year or so as a child, he refused to practice. Finally his piano teacher told his mother, “Stop wasting your money on that boy. He’ll never learn the correct piano techniques.” And it was true, he never learned the schooled method – but Hap could make a piano come alive, playing swinging Big Band tunes that made you want to dance, or quiet sentimental ‘sweet’ music, that made you remember and long for something better. He was a natural, playing it all by ear. 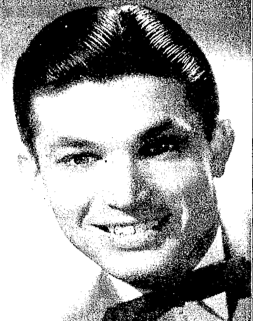 A Pennsylvania native, Hap played with several bands including the Jimmy Simms Orchestra. 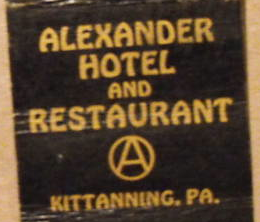 He joined fellow Kittanning resident, Angelo ‘Angie’ Sgro’s swing band in the forties. They started out playing places like the Alexander Hotel and graduated to the Sunset Grove Ballroom near Rural Valley, Pennsylvania. 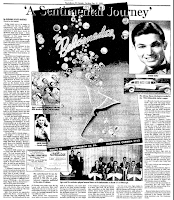 The 13-member group opened for the Big Band greats such as Jan Garber, Sammy Kay, and Lawrence Welk. And once, Lawrence Welk’s Orchestra returned the favor and actually opened for them! The dance band’s popularity grew. They played Pittsburgh and were ‘discovered.’ The group of hometown boys came to be known as the Lee Angelo Dance Band. 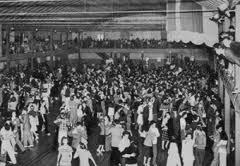 They toured the country, packing ballrooms, country clubs and dance halls from Pittsburgh to Denver, Chicago to Mississippi. Hap’s stories of playing till early in the morning, then packing it all up into a couple of station wagons and heading down the road to the next gig, always captivated me. I could just imagine those (always, in my mind) moonlit drives in the middle of the night, still talking and joking about the evening’s show, until the first glimpse of dawn, when everyone would settle down and sleep until the cars pulled in to the next town and it was time to get up and do it all again – simply for the pure joy of it! So it would only make sense that Hap would meet the love of his life ‘on the road.’ Annis Skaggs Fleming was a singer with a local Big Band. 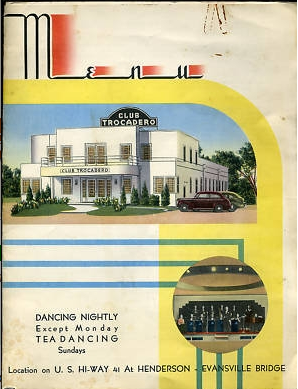 She and Hap both were playing at the Club Trocadero Club in Henderson, Kentucky when they met. Two months later they were married. They toured together with Lee Angelo’s band for a short time, but Annis became homesick, so they returned to her hometown of Robinson, Illinois. Hap found a job in real estate, but a piano was always close at hand. He began playing piano for the Guy Winger Combo. 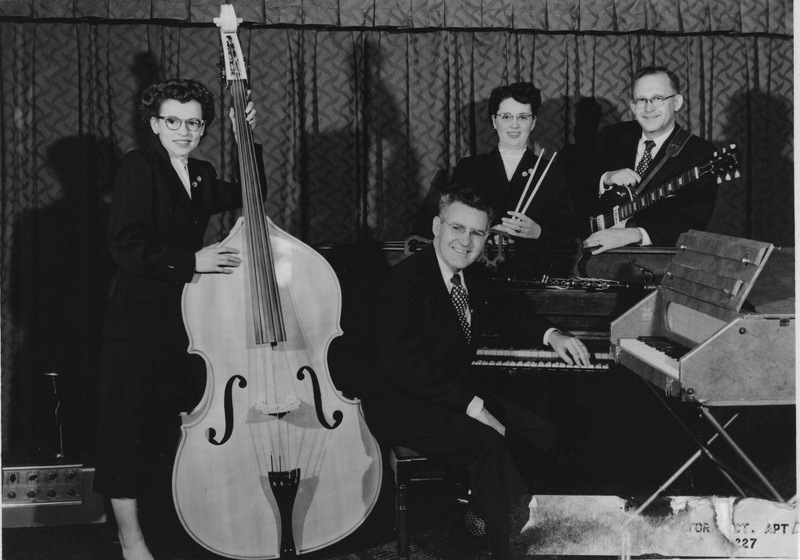 Annis returned as the group’s singer and soon the quartet was traveling around the Midwest. When the group disbanded several years later, Hap continued to play. He would perform solo for restaurants, civic groups and clubs throughout the Indiana- Illinois region. In fact, he was still playing piano for the public when he was 90. Hap also had a love of history. He was a proud member of the Sons of the American Revolution, having a maternal and paternal Revolutionary ancestor who fought in the war. 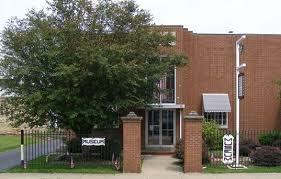 Hap worked countless hours as a volunteer at the Crawford County Historical Society in Robinson, Illinois, and helped establish a museum for county history and artifacts, serving as president for many years. 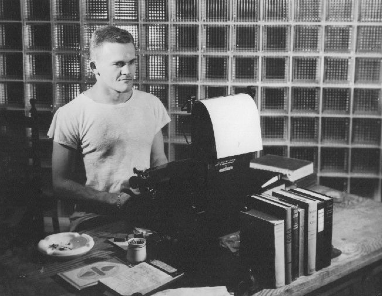 Author James Jones was a Robinson native and friend of Hap and Annis’. Both always had wonderful stories to tell about him and the scandalous book he wrote that was a thinly disguised story of the ‘good and bad’ in the little town of Robinson. 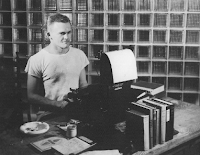 Hap was instrumental in saving the desk where Jones wrote “From Here to Eternity,” and having it reconstructed and reconditioned for the museum. It seems Hap and Annis always knew famous people. 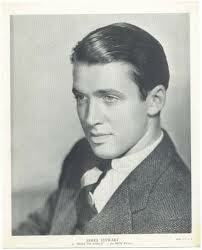 As a child, Hap and Jimmy Stewart played together while their father’s fished. Author James Jones dated Annis in high school and later wrote a short story, ‘The Ice Cream Headache’ for her. Hap was well acquainted with Lawrence Welk, and Ann B. Davis of Brady Bunch fame was a frequent dinner guest in Robinson. Once, while dining at a swank dinner club in Chicago, the maitre d’ approached Hap and Annis, asking if they would mind sharing their out-of-the-way table with another couple. 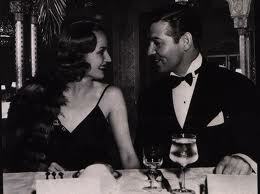 After saying yes, Clark Gable and Carole Lombard were seated with them for an entertaining evening. 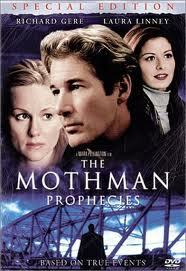 And, unbeknownst to me, Hap was having breakfast with Richard Geer when they shot the Mothman Prophecies in Kittanning. True to his word, he didn’t tell anyone until after the shoot was over. 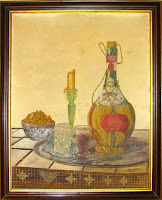 And the story of Hap’s life wouldn’t be complete without mentioning the oil paintings he and Annis did. Encouraged by Annis’ brother, they bought canvas, paints, easels, and began. Both had an artistic eye and the natural talent to paint interesting and captivating pictures. When finished they would gift their paintings to people around the country. I am proud to say that I own the only oil Hap painted that had to do with wine. Since that is my profession, it means a lot to me. 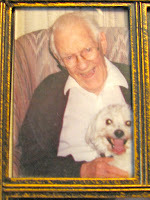 Unfortunately when Hap died in November 2003 his estate was intestate. He trusted that what he said he wanted to happen would. 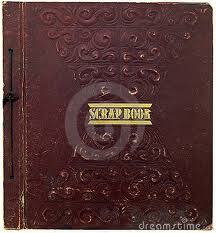 Somewhere along the line his Big Band photo album and scrapbooks disappeared. My fear is that they were parted out and the famous Big Band autographs and photos he had collected over the years were sold for cash. Done so without a thought to the fact that these books were a very meaningful record of his life. Regrettably this happens all too often. So a few pointers; make sure, if you are the person designated to receive a loved one’s memory books, it’s put in writing and you have a copy. If those items are truly gone, try to recreate what you remember was there. Contact anyone you can remember who might still have photos or mementos of those earlier times. This applies not only to those who have recently passed, but ancestors from generations back. The Internet makes detective work more possible and much easier now. You’ll be surprised what is out there. newspaperarchives.com for any relevant clippings and articles. Although I haven’t located the actual 1930’s articles about his band, I did rediscover this write up done in the Indiana, Pennsylvania Gazette newspaper. This came out in December 2000 when Brian and I were spending the holidays with Hap. He told me stories about the ‘Big Band days’ yet again, and finding this helped to jog my memory on other anecdotes he had shared with me throughout the years. We lost Hap on November 20, 2003. While I do not have Hap’s actual photos and keepsakes, I have the memories of countless hours spent pouring over his scrapbooks with him, and his enjoyment in retelling and reliving the life that went with them. Those memories are the most wonderful of all – and they are something I’ll always treasure. During our last visit with Hap, he sat at the piano for well over an hour one evening, playing song after song, taking us all back to another time when the music, and life, seemed to be more straightforward and less complicated. And the fact that Hap could convey that at the piano was just a part of his magical gift. It was, quite simply, just who he was. Hap Fleming was a man who enjoyed life and making people happy with his music. What a wonderful way to be remembered. (Special thanks to Tim and Jane Attaway of Pulliam's Funeral Home, Oblong, Illinois. Joy, this is a really beautiful tribute. This weekend, I returned to an antique store to pick up a photo album there that had been haunting me since I first saw it there a while back. Beautifully captioned with names and dates--I was sure I could find a descendent who would treasure it. Not only was the album no longer there, but the entire store had disappeared too, seemingly overnight. Another opportunity to preserve a life story gone. Good for you for keeping Hap's story alive. Thanks so much Kristy! I applaud your desire to reunite the album to someone who would cherish it. Too bad the store was gone when you returned. I realize that many people just don't "get" genealogy and the desire to understand and preserve the past. 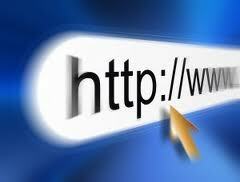 Hopefully though, that is changing through television programs, conferences and the Internet. Awesome! Keep us posted if you find anything. In what cemetery is Hap buried? Nettybo, Hap's cremains are buried in the Oblong Cemetery in Oblong, Illinois, along side his wife, Annis Skaggs Fleming. My father played in this orchestra. Desperate to find any memorabilia that might be available. 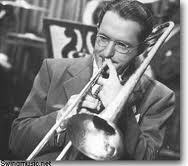 Orville Conn played trumpet at one time with the group. Guy and Florence were my great-aunt and uncle. I have an old worn version of that photo of the Guy Winger Combo, but am absolutely thrilled that you have such a great quality digital scan. Do you have any other photos or mementos of their group? Hap always had great stories to tell of playing around Robinson and throughout Illinois, and Annis was especially fond of singing in the combo.